Specializing in keeping the denial rates down! 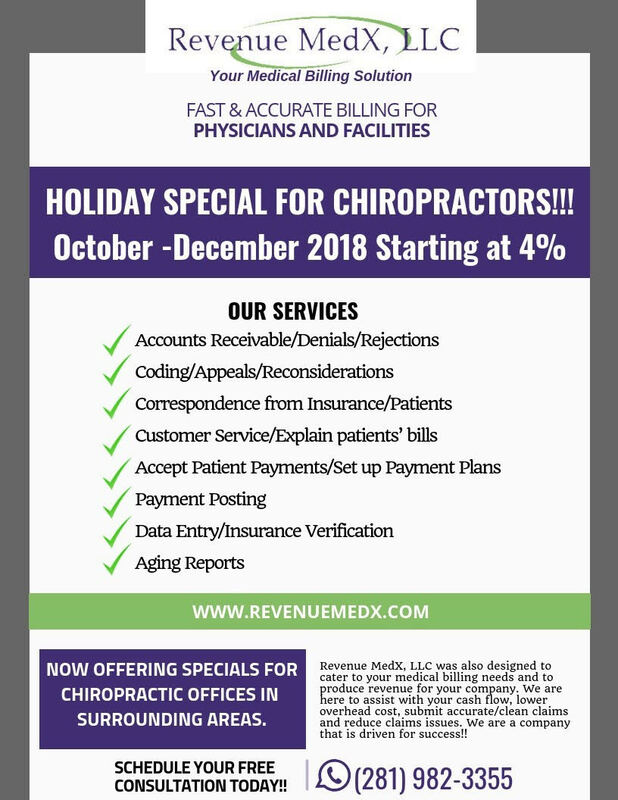 Revenue MedX offers a wide array of services to help fit your companies needs. Check all that we have to offer or contact us for a customized service just for you! You have questions? We have answers! Check out some of our frequently asked questions for answers to our most common questions. We offer a free NO OBLIGATION consultation to help customize our service to suit your business needs. Contact us for more information. Revenue MedX partners with a variety of insurance companies and medical facilities. Most importantly, we look forward to partnering with you.